We will design company logo, character illustration, advertisement poster and more!! Please click "WORK" button above to see sample works we have done!! 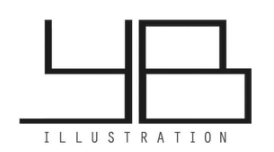 I am an illustrator and graphic designer with experience in various types of illustration. I was born in California and raised in Osaka from Japan. Since I have grown up in Japan, I am also related to the Japanese cultures.